The committee has considered the rules for the 252 scheme and agreed that it will only be necessary to score 252 on two occasions for each distance from now on, to qualify for a badge. In addition the 15 yard badge will no longer be included in the scheme and ribbons will not be used. 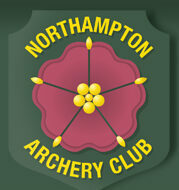 We have purchased a sample of the badges from Reading Archers which we will be using. The club offer a very quick turn around on orders with no minimum quantities – just a small postage charge. Some of the colours on the badges are different from those chosen for our original scheme which will be amended in due course. They can be seen online at the Reading Archers web site.Go to this page to read about the 252 scheme and how to record your scores and get your badge.